Incorporated in the design of the PLS is a magnetic drive that is time proven by decades of use in our Mark Series valve position indicator product line. A 1 rpm synchronous motor rotates the paddle, utilizing a magnetic drive. 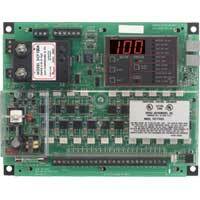 As product builds up, the paddle is impeded from moving and the resulting motor torque activates the output switches and stops the motor. A spring mechanism reactivates the motor and returns the switches to normal state when the product no longer impedes the paddle rotation. Standard construction is weatherproof with explosion-proof optional, and the unit can be side or top mounted. The PLS is designed with the industry standard 1-1/4" male NPT connection and mounting flanges. Dry powder or bulk materials compatible with wetted materials. Minimum material density of 5 lb/ft³ (80 kg/m³), maximum of 200 lb/ft³ (3200 kg/m³). Paddles: 316 SS. Exposed Shaft: 316 SS. Shaft Seal: PTFE. Mounting Boss: Aluminum. Flexible Coupling: 316 SS. Mounting Flanges: Carbon Steel or 316 SS. Shaft Extension and Shaft Guards: Galvanized Steel or 316 SS. Standard Construction: Process: -40 to 300°F (-40 to 148.9°C), Ambient: -40 to 185°F (-40 to 85°C); High Temperature: Process: -40 to 500°F (-40 to 260°C), Ambient: -40 to 185°F (-40 to 85°C). 30 psig (2.07 bar) maximum for .5 micron or larger material. 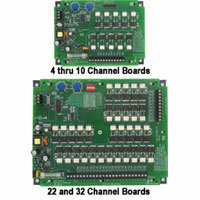 Select by part number: 110-120 VAC, 230 VAC, 24 VAC, 48 VAC, or 12 VDC. 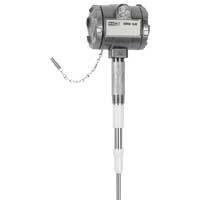 Weatherproof models: 5 watts, Explosion-proof models: 3 watts. 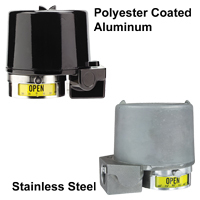 Weatherproof (W, WH construction): NEMA 4X, Explosion-proof (E, EH construction): NEMA 4X and rated for Class I, Div. 1 & 2, Groups C & D, Div. 1 & 2, Groups E, F, & G.
SPDT or optional DPDT snap switch. 15 A @ 120/230 VAC. 1-1/4" male NPT. Optional flange. Red LED that activates when switch is made or when switch is not made with RL option (not available on Explosion-proof models). Five field adjustable ranges from 0-1 to 0-31 minutes. (RL option not available, DPDT option not available with 230 VAC time delay). Control head only: 4 lb (1.81 kg). 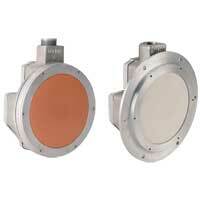 cUL, UL approved as an auxiliary device or as an auxiliary device for hazardous locations. Magnetic drive that isolates and completely seals the control head from the process and environment preventing material or dust from entering the control head. 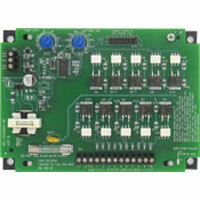 Motor shuts-off when paddle stalls increasing motor life, preventing motor burnout, and decreasing power usage. Slip clutch design enabled by the magnetic drive that prevents damage to motor and drive mechanism from sudden or excessive loading on the paddle. 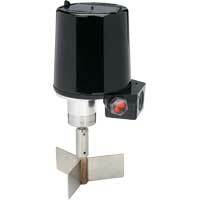 Status indication light on weatherproof models. Screw cover on the enclosure for easy access with no worries about losing bolts or screws. Modular design to allow field installation of any paddle, flanges, shaft extensions, or shaft guards. Flexible coupling available for protection of the paddle and drive from side loads, surges or impacts. 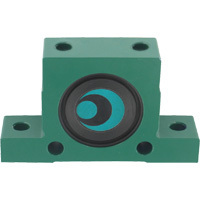 Recommended for top mount applications with shaft extension and applications with large or heavy materials. 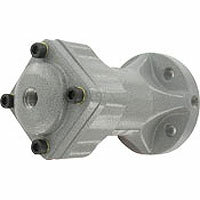 Contact the factory for pricing of shaft extensions, protective shields, and other options. More detailed information available in our Measurement & Control for Powder, Dust, and Bulk Materials Catalog. PDL-1 Carbon steel paddle with half coupling. PDL-2 Carbon steel paddle with full coupling. PDL-3 316 SS paddle with half coupling. PDL-4 316 SS paddle with full coupling. 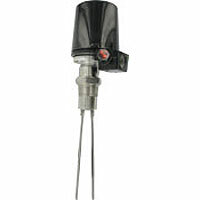 EXAMPLE PLS W S 1 1 CSF GS GS 012 FC Series PLS-W-S-1-1-CSF-GS-GS-012-FC Paddle Level Switch, weatherproof enclosure, SPDT, 110-120 VAC, low density paddle, carbon steel with full coupling, 12" 1/4 NPS galvanized steel shaft extension and protective shield, with flexible coupling.